Like many hosting companies, Bluehost offers some amazing rates and introductory pricing to attract new customers. 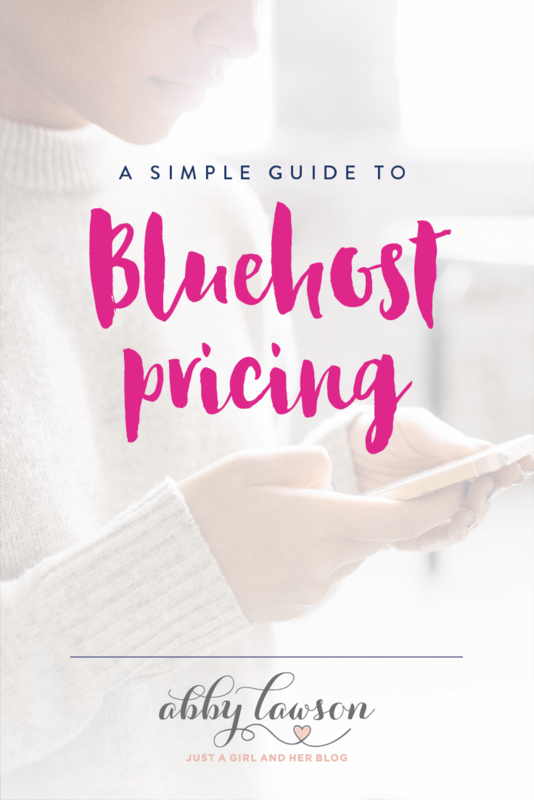 I want to clear up some confusion about the way Bluehost pricing works and give you a tip that could save you some serious money. Before I start, I want to mention that I am a fan of Bluehost. It’s a great first host for a new WordPress blog. I’ve used them in the past, and I’ve always been impressed with the friendliness and responsiveness of their support staff. If for whatever reason you’ve determined that Bluehost isn’t right for you, here’s an article I wrote with all my blog hosting recommendations. 1. To get $2.75/month Bluehost pricing, you need to pre-pay for 36 months. If you choose to pre-pay for a shorter time period, the rate increases slightly. 2. If you cancel your account within the first 30 days, you’ll receive a full refund, no questions asked. Learn more about the Bluehost refund policy. 3. Bluehost no longer offers pro-rated refunds. In previous years, Bluehost had a pro-rated refund policy. For example, if you canceled your Bluehost account after 12 months, you would get a refund from Bluehost for the 24 remaining months. This was a great feature but it is no longer an option. You’re limited to the 30-day refund policy. In fairness, this is how most other companies handle refunds. 4. Renewal pricing is different from introductory pricing. This is one reason why I always recommend locking up the introductory pricing for the longest term (36 months) if possible. For the starter plan with a 36-month term, the regular pricing is $7.99/month. That is the rate at which your account will renew at the end of the introductory 36 months. Again, that is a pre-payment rate so you will be charged for all 36 months. 4. Here’s the big tip to help you save lots of money with Bluehost — Their holiday sales and special promos are always open to existing customers! What does this mean? It means that even before your introductory pricing period with Bluehost ends, existing customers can extend their hosting for an additional year during Black Friday or Cyber Monday sales. There are also other promotional sales throughout the year, but it’s a near guarantee that Bluehost will offer some type of special deal around Thanksgiving each year. Take advantage of these sales, and if your introductory pricing is set to expire within the upcoming year, be sure to extend your account for 12 months during these sales. Using this strategy, you could potentially keep your Bluehost introductory pricing forever. I hope this clears up some confusion about Bluehost introductory pricing and renewal rates. Be sure to take advantage of my little holiday promo tip! Hi Abby, this is cool. Thanks for sharing! I was really confused about their pricing, and your post definitely clears things up for me. And the last big tip is just awesome. Thank you! So glad it was helpful for you, Jayla! So as a newbie blog you have to prepay for a 36 month contract in order to be hosted? That’s a lot of money just to start a blog. Isn’t there a month to month you can do? Thanks for the info, does clear up a little information I was wondering about! A 67 year old retired man looking to start a blog! Hi, Jim! There is a monthly option; they just give you a discount if you pay for the 36 months in advance. Best of luck with your site! So glad it was helpful for you, Susan! Have a great week!